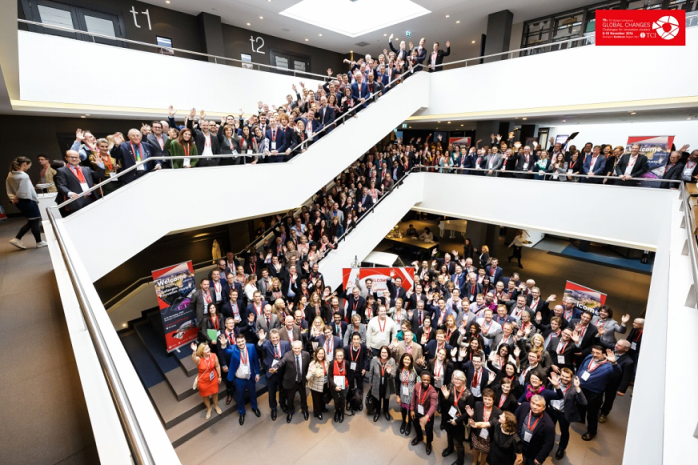 At the 19th TCI conference organized between 8-10 November 2016 in Eindhoven/NL more than 500 participants from more than 40 countries gathered to discuss and learn about the latest developments in cluster policy and cluster management, about the trends and challenges lying ahead. Themes like cluster evaluation, cluster excellence, cluster internationalisation, entrepreneurship and scaling up, clusters and their strong connection with the Smart Specialisation Strategies…. were addressed both in form of inspiring presentations and interactive and intensive discussions in workshops. The perspective was a truly global one, with insights into the Australian, Chinese, Indian and South American cluster landscapes. A cluster tour programme gave participants the opportunity to learn in detail about the regional Dutch clusters coordinated by Brainport Development. Europe was strongly represented both through its large number of participants and with a presentation of the European Cluster Strategy for Growth presented by Michel Catinat, Head of Unit GROW.F2 – Clusters, Social Economy & Entrepreneurship of the Directorate-General for Internal Market, Industry, Entrepreneurship and SMEs (DG GROWTH) of the European Commission. 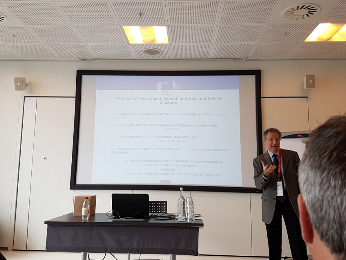 Mr. Catinat introduced the focus areas of the European Cluster Policy addressing the creation of new sources of growth and new industrial strengths, interregional cooperation and smart specialisation, support for the internationalisation of EU firms through clusters as well as support for excellence in cluster management. He underlined the new and challenging role clusters are going to play together with technology centres as integrators and facilitators for SME investment projects within the framework of the regional smart specialisation strategies. 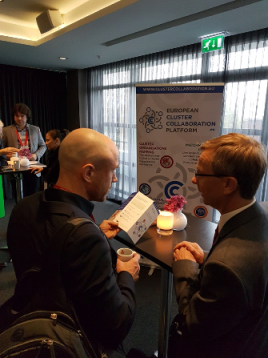 The European Cluster Collaboration Platform (ECCP) was also presented at the conference and looks forward to welcoming new cluster organisations on the map, both from Europe and beyond, both in direct discussions with participants as well as in the workshop “Understanding internationalisation”. Marc Pattinson (on the right side), Coordinator of the ECCP, introducing the platform’s services to interested participants. We are particularly glad to inform that two members of the ECCP Support Group members (a think-tank for the platform’s development consisting of national cluster programme owners, national cluster associations and cluster managers) are also directors in the TCI board led by Christian Ketels, Professor at Harvard Business School and renowned expert in international cluster policy: Merete Daniel Nielsen from Cluster Excellence Denmark and Alberto Pezzi from ACCIÓ/Catalan Cluster Programme). We congratulate Merete and look forward to a close cooperation between the two networks. 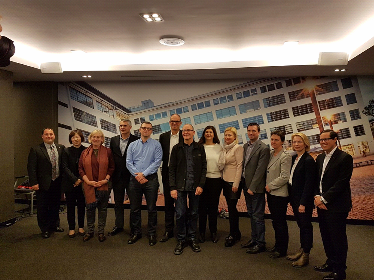 TCI Board of Directors 2016 (with Merete: Merete Daniel Nielsen - 2nd from the right, Alberto Pezzi 4th from the left and Christian Ketels 6th from the left). As one of the European Commission’s supporting instruments for cluster internationalisation, the ECCP introduced the landscape of European Cluster Policy development and support to a delegation of Australian cluster policy intermediaries and explored possibilities of cooperation.